You want your four-legged friend to be around for a long time. And you’d do anything for him or her — they’re like family members! But, let’s face it: we live in a time where we’re constantly busy and over-scheduled. Many times Fido’s care gets pushed to the bottom of the list — not out of neglect, but simply because there are not enough hours in the day to get it all done. 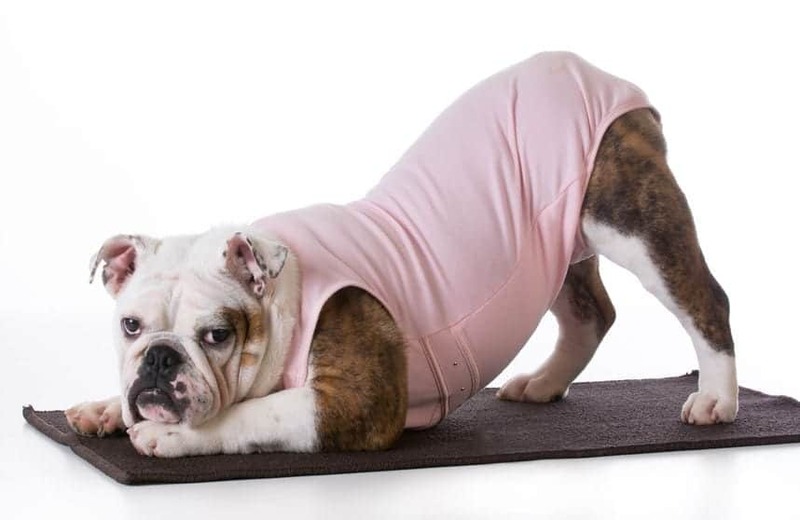 Sure, they get fed and loved regularly, but making sure your dog exercises is often left out. However, there are easy things you can do to prioritize your pet’s health and exercise schedule to ensure he or she lives a long, healthy life. So, whether you walk your dog regularly, jog, or mix in other activities, it is vitally important that you make sure your dog exercises as often as possible. Doing nothing but eating food and sleeping all day, whether you’re a human or a pet, is never a good thing. Did you know that obesity is as rampant in pets as it is in people? And just like it leads to a lot of health problems in people, it can cause major issues for your pet, such as joint pain or heart issues. A lack of exercise can also lead to extreme boredom in your pet. And boredom can lead to bad — even destructive — behavior, like hyperactivity or chewing everything in sight. As you can see, there are several reasons why it is important that your dog exercises on a regular basis. But you should check with your veterinarian first before you jump into anything too extreme. This is especially the case if your pet has been largely inactive for the last few years. Your vet can work with you to come up with the best plan based on your dog’s age, health, weight, body shape, and other factors. Once you have your plan in place, start slowly. Your dog needs time to warm up their muscles and joints before running and playing, just like you do. Increase the level that your dog exercises gradually as he or she gets acclimated to this new, active lifestyle. There are many different ways that you can get your pet the exercise you need. And these options are not only fun for your companion, but also enjoyable for you as well. One common kind of dog exercises is agility. If you don’t have a dog park nearby, you can easily build an obstacle course at home. All you need are PVC pipes! Here is a handy DIY guide to build your own backyard course. 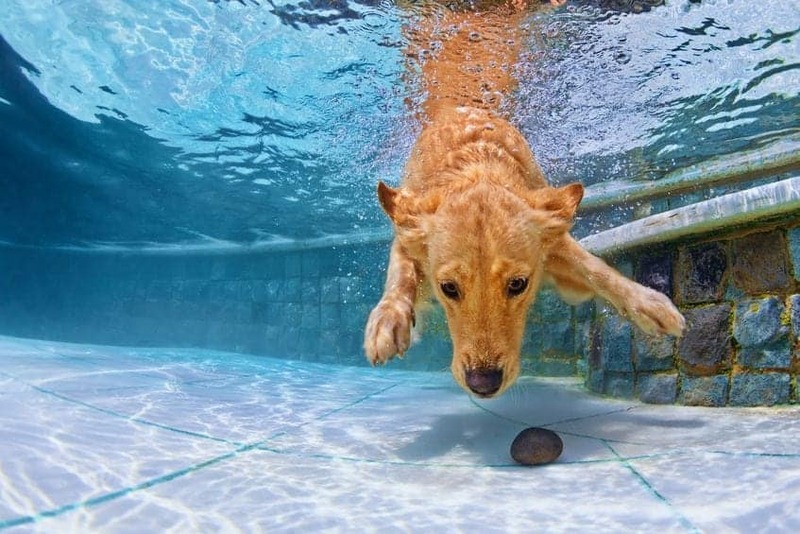 Many pooches love to get into the water. Swimming is particularly good for dogs because of the minimal wear and tear on their joints that comes along with regular walking or running.4 But whether you’re taking him to the lake or just going to your swimming pool for a dip, make sure he wears a doggie life preserver. Afterwards, wash him or her off with a mixture of dog shampoo and water. Even if your backyard is huge, dogs love to run in wide-open spaces. Check out your local dog park and see if it might be a fit for your beloved pooch. You’ll need to take the temperament of your pet into consideration, though. If he doesn’t get along well with other dogs, then the dog park won’t be a good option. But if he loves to be around others of his own kind, then he or she should have a blast. Watch your pup your carefully… and be ready to take action if any problems occur. Most dogs love to play tug o’ war just about as much as they do running around and playing fetch. It can come with some risk, however. It will be very important that you only do this with a dog you know very well. Why? Well, this game can spark a dog’s natural instinct to establish dominance.5 Stop playing immediately if you notice that the dog starts becoming overly aggressive. Just about every dog loves to chase…but some are not so great with the “retrieve” part of this game. Regardless, fetch is a great way to play with your pup. Take a ball or another one of your pet’s favorite toys and head out to the backyard. You can throw it yourself, or find a stick that will fling the ball for you. (You can find these online or at most pest stores.) Fling the toys at different distances and in different directions to keep him engaged. Yes, many pet owners love to dance with their dogs. In fact, there are freestyle dog dancing competitions held around the country on a regular basis.6 Whether you’re training for a big dance contest or just want to cut loose in the living room, dancing with your dog is a great way to get him some serious exercise. You’d be surprised how many dogs like music; the trick is finding which type! The answer to this question depends on several factors, as mentioned earlier. One of the most important is age. If you have a puppy, he’ll typically need more exercise than an older dog, but in shorter bursts. The amount of exercise an adult dog needs will depend a lot on his breed. If you have a Basset Hound or a bulldog, for example, they tend to be more reserved. They will usually not need as much exercise as a breed such as a Border Collie, which tends to have more energy. Older dogs need exercise, too. It can even help them live longer! But you need to be very careful so that you don’t overwork your senior pooch. Again, you’ll need to speak with a veterinarian to put together the best exercise plan for your pet. You’ve heard the old saying: Move it or lose it. Well, regardless of what breed they are, how much they weigh or their age, your pet needs to move regularly. So, get out with your beloved companion as often as you can. To boot, being active benefits both of you: it’s mood boosting and calorie burning. Just make sure that you talk to your vet before starting any sort of exercise routine for your dog.